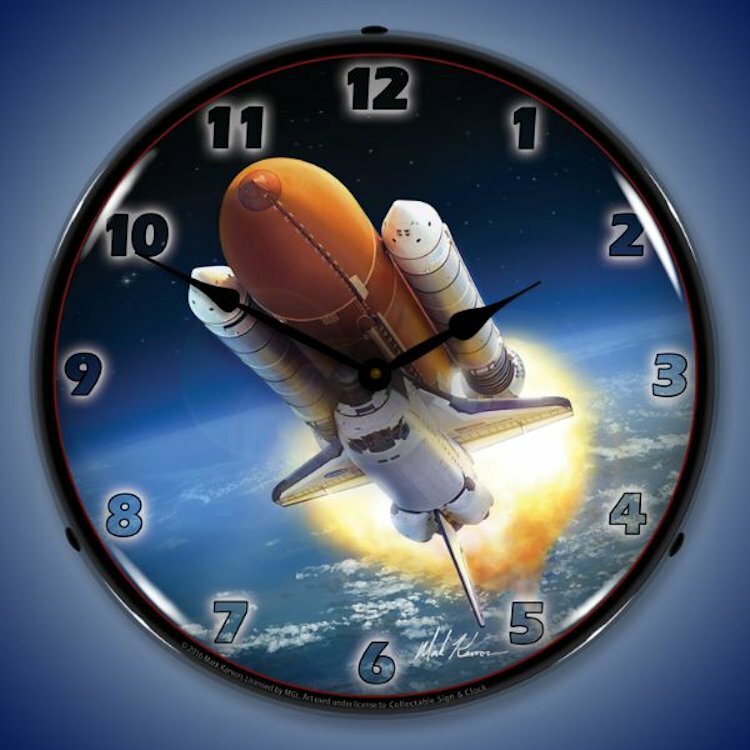 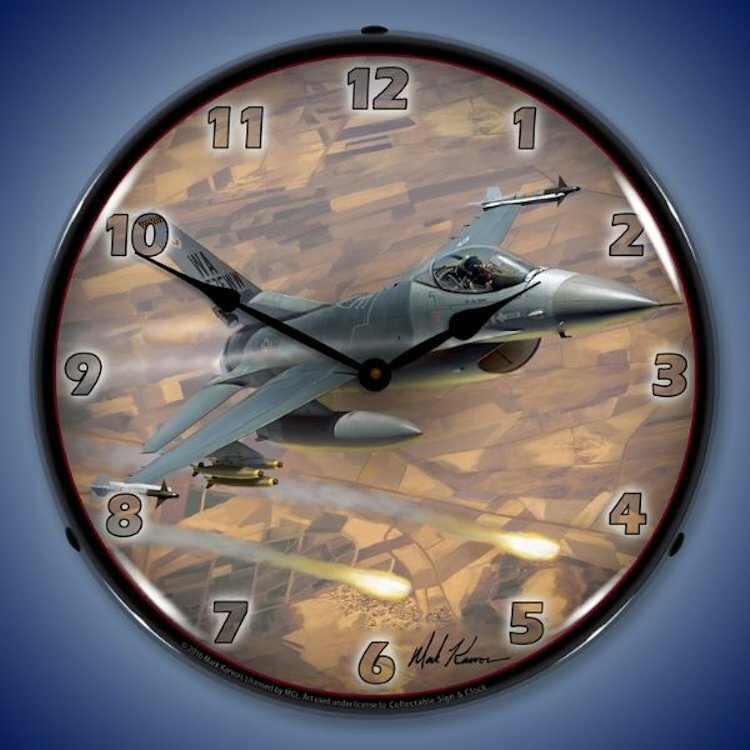 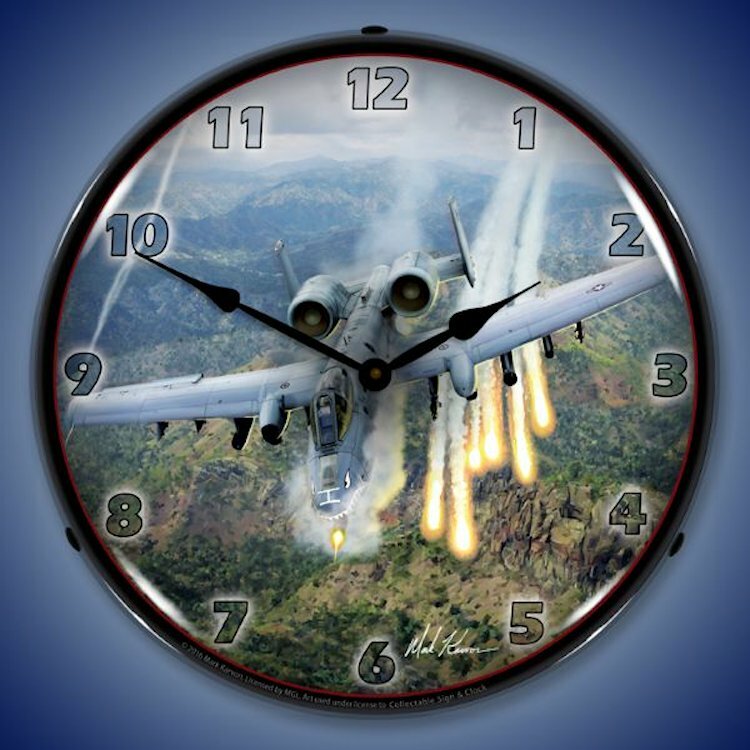 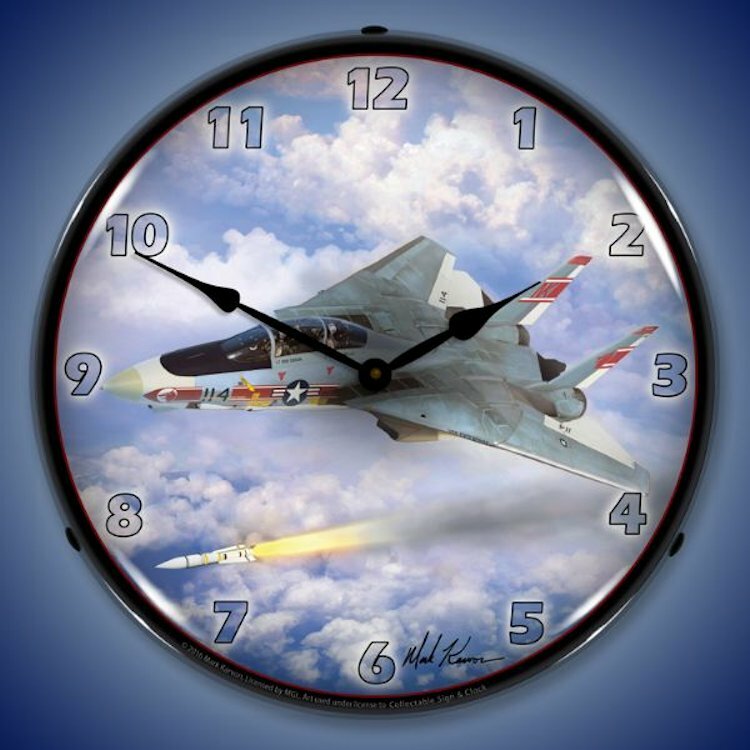 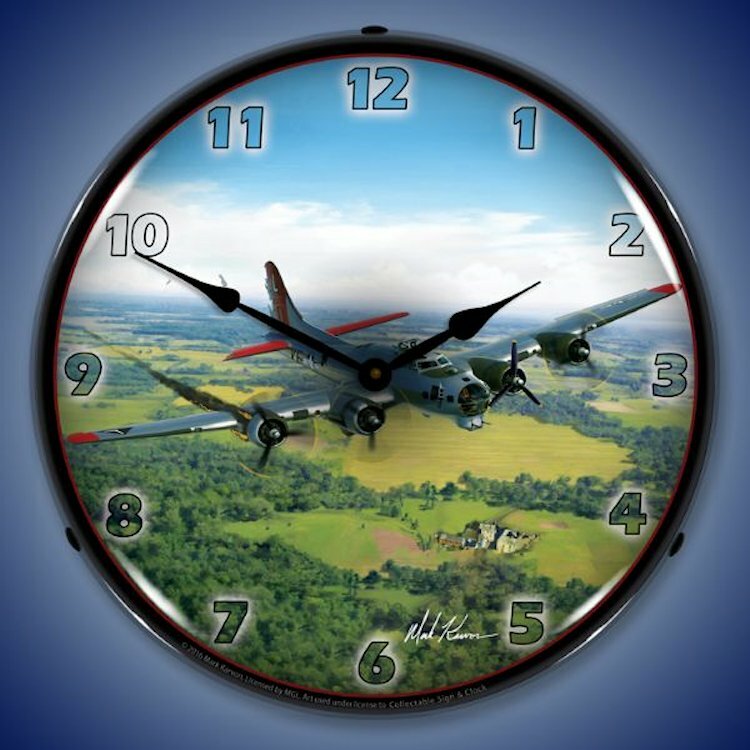 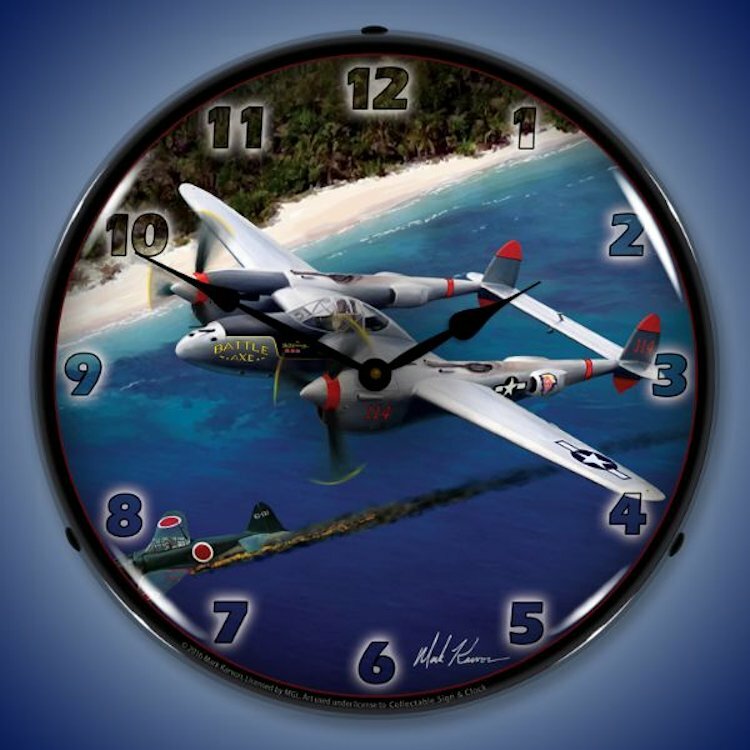 The pilot in you is going to be flying high with these gorgeous airplane theme clocks, available in a variety of different styles and themes. 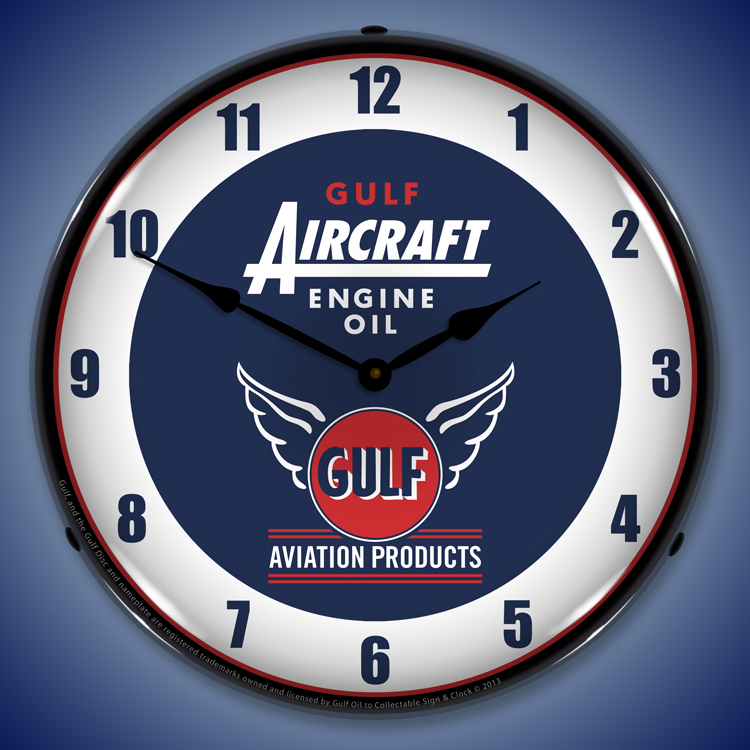 One thing is common among these pieces � they all look fabulous lighted and hold their own in any room or as a gift to your favorite aviator! 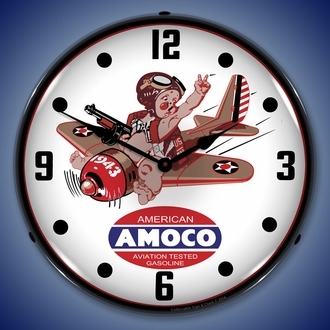 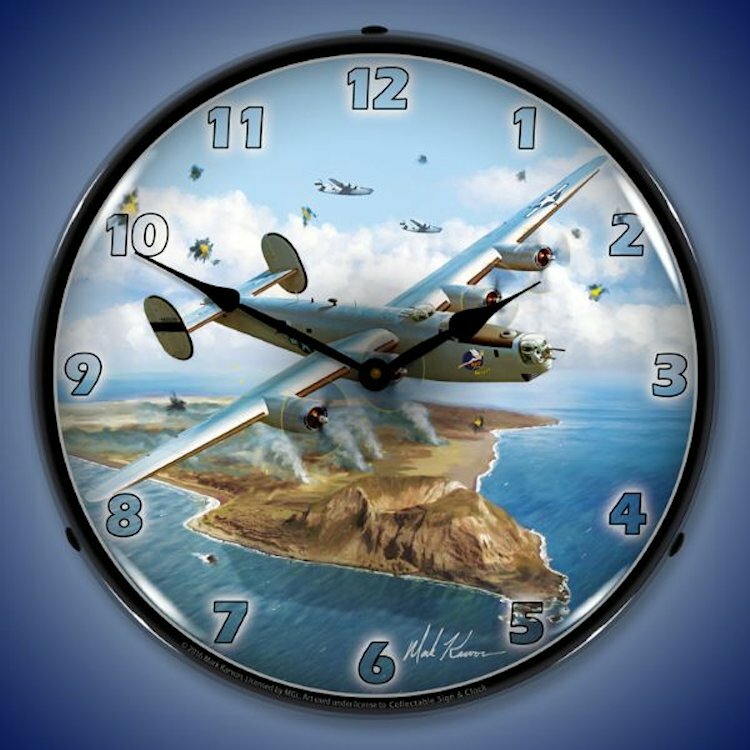 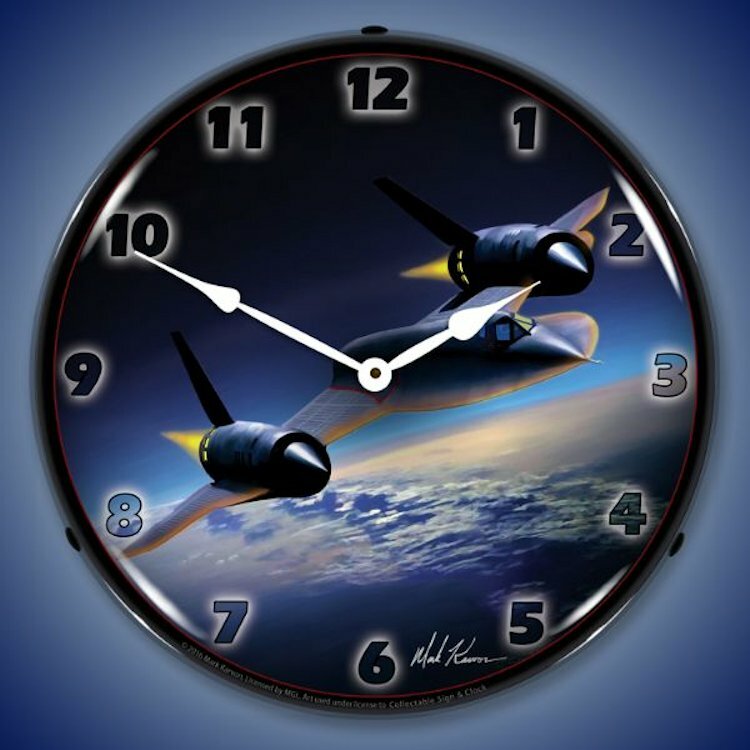 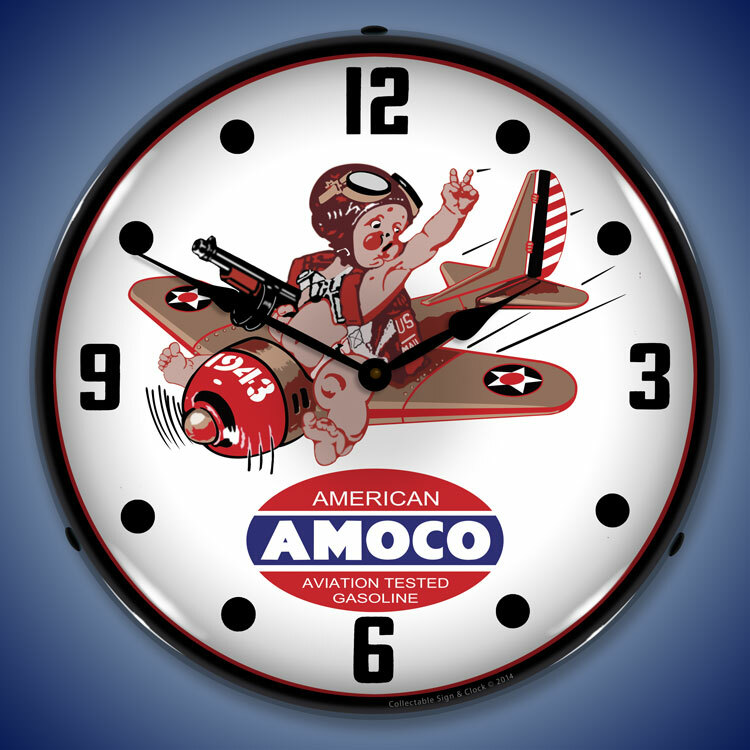 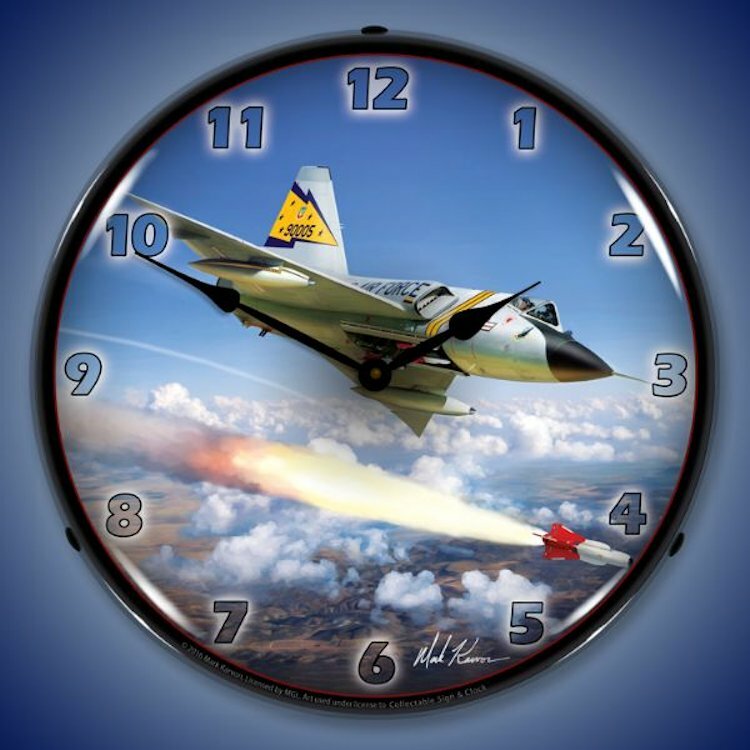 One of our classic airplane theme clocks features the artwork of Larry Grossman in a piece he designed honoring the 1933 Thompson Trophy Air Races. 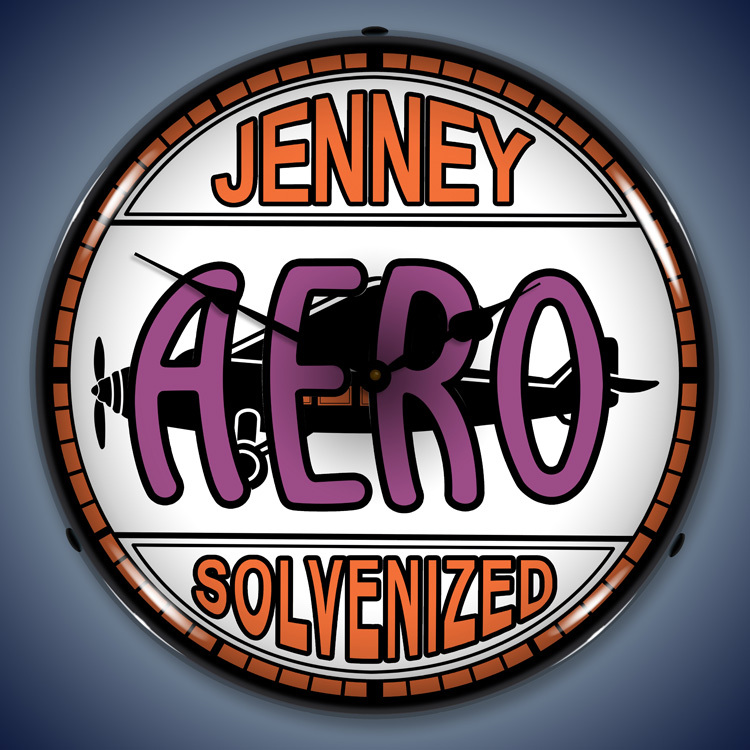 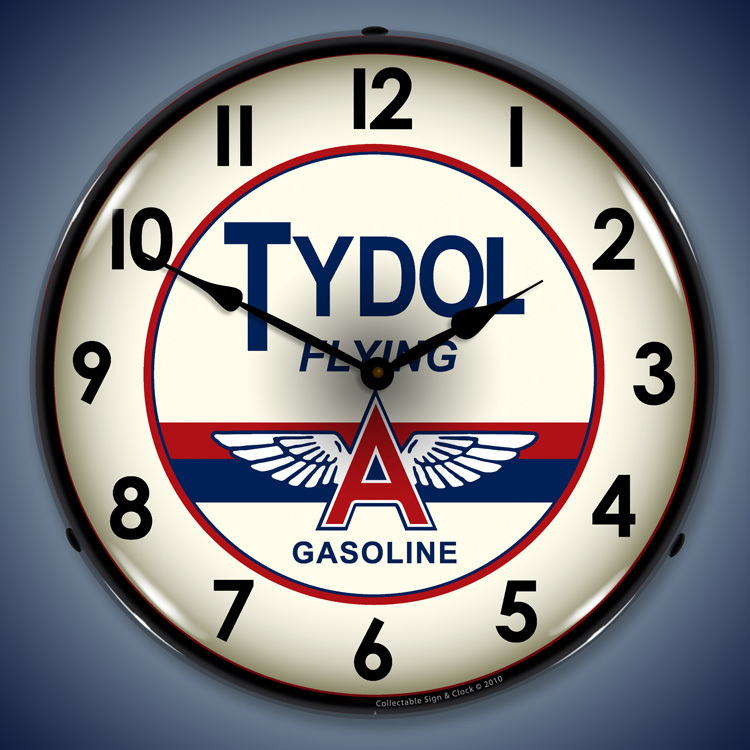 The Thompson Trophy race was one of the esteemed National Air Races, popular in the early 1930�s (the heyday of airplane racing in its beginning). 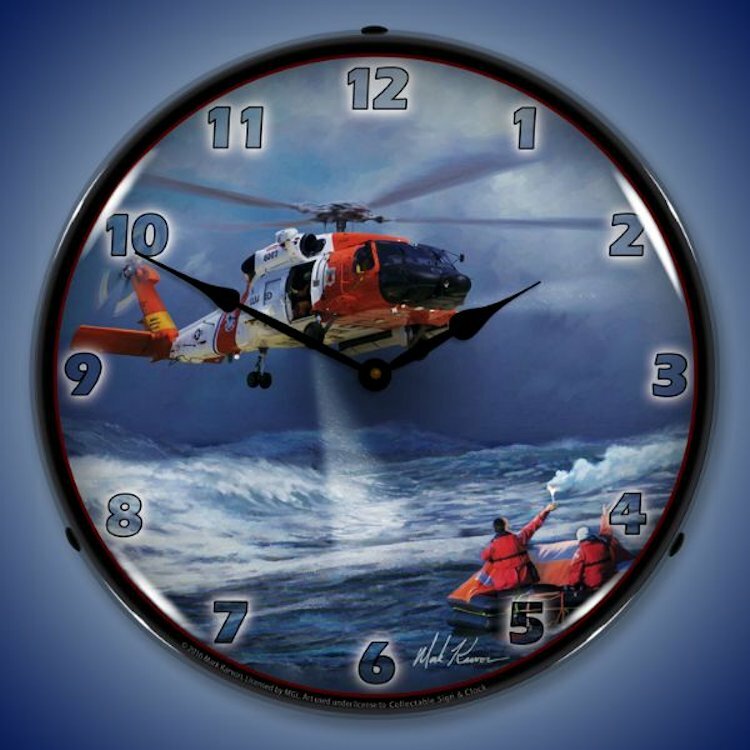 Larry Grossman captures the essence of this period with his piece, and you can embody this spirited age with your own clock. 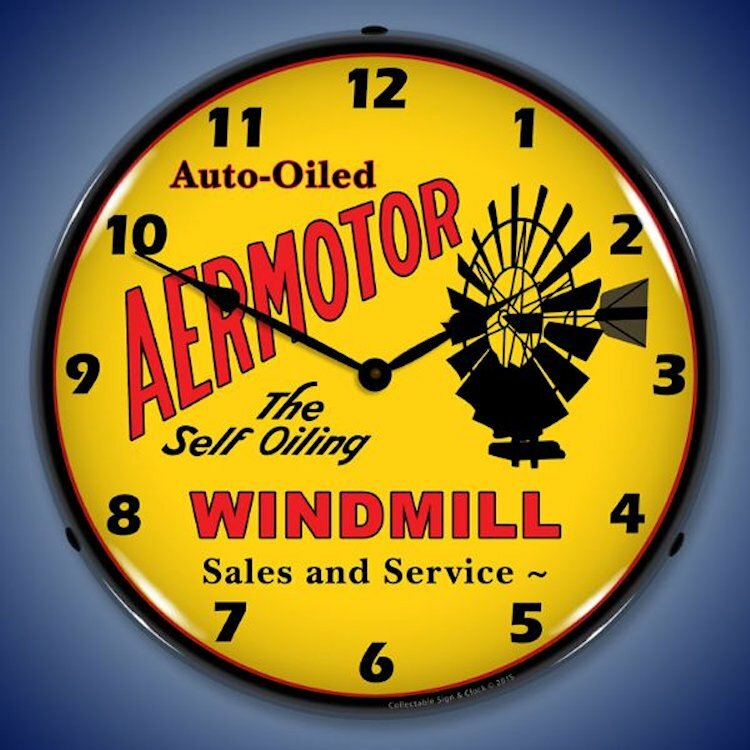 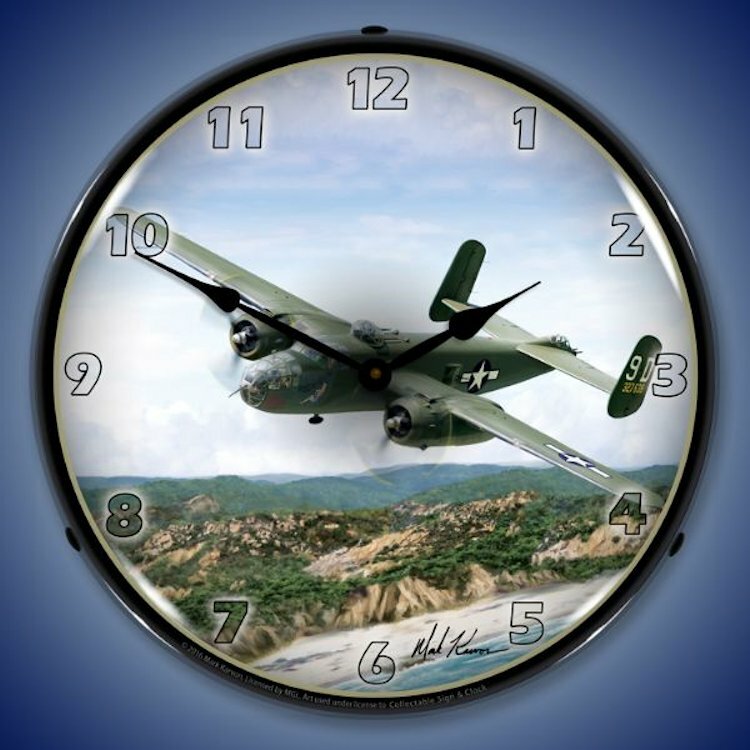 Other airplane theme clocks highlight different themes, such as Autolite Aviation, a clock featuring popular airplane spark plug maker Autolite and a beautiful pinup girl highlighting the style of the golden years. 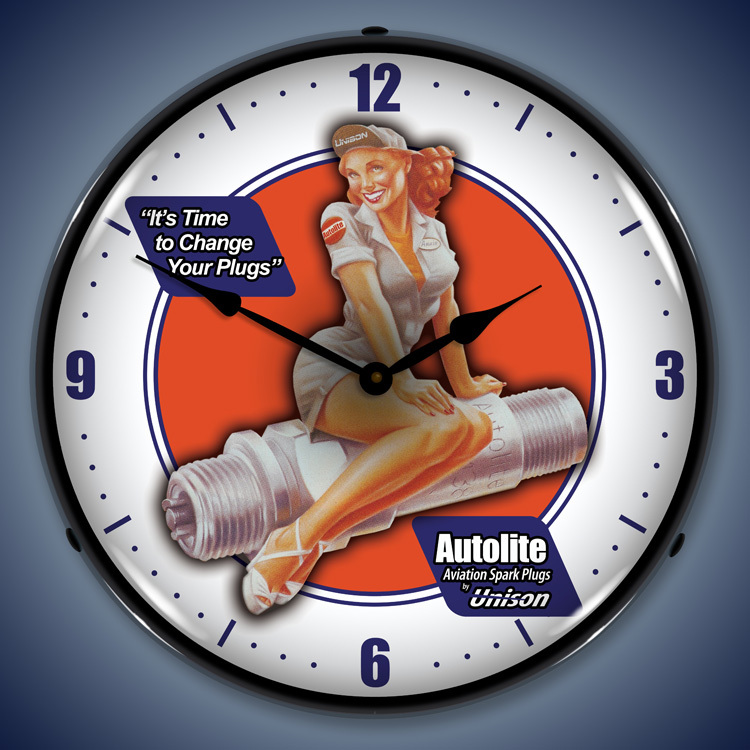 If pinup isn�t your thing (though why wouldn�t it? 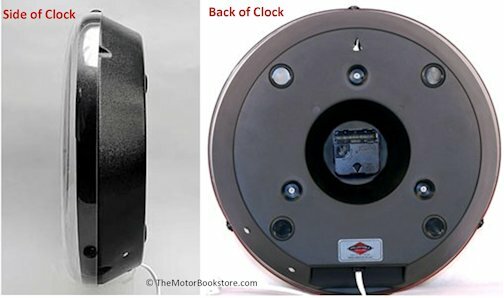 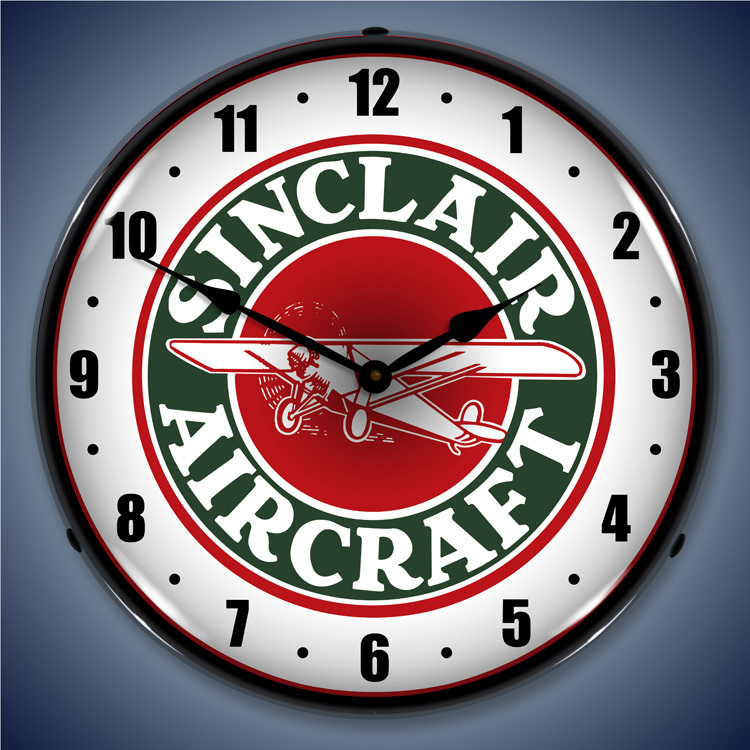 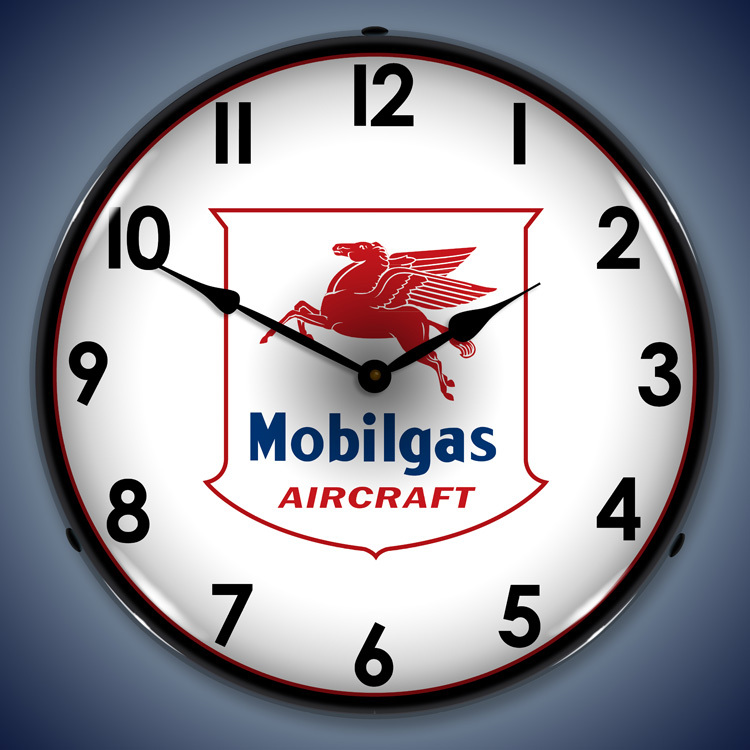 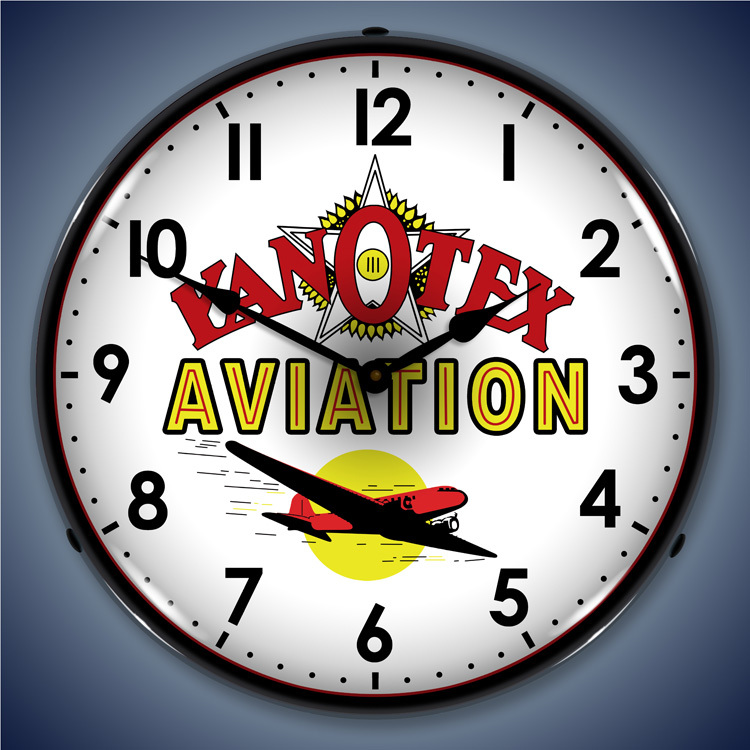 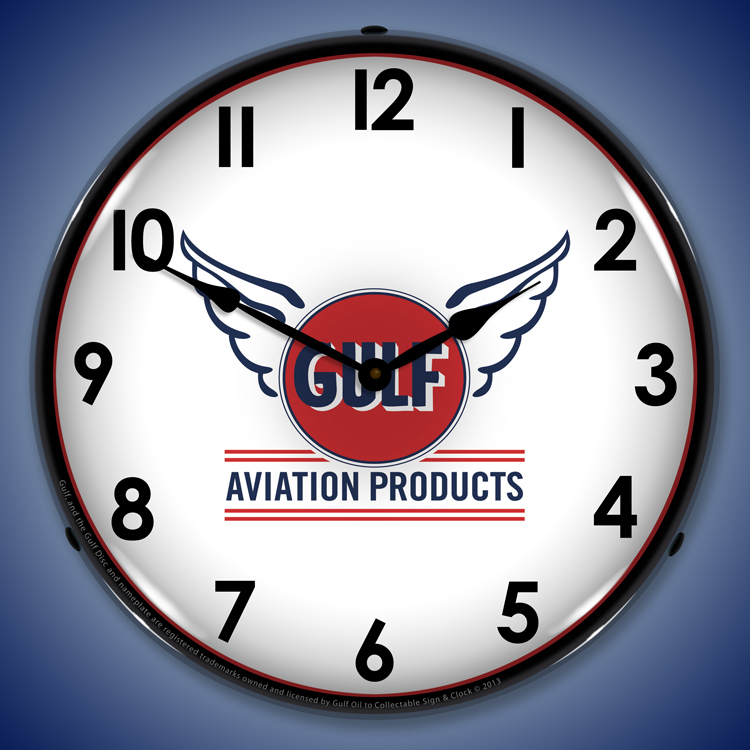 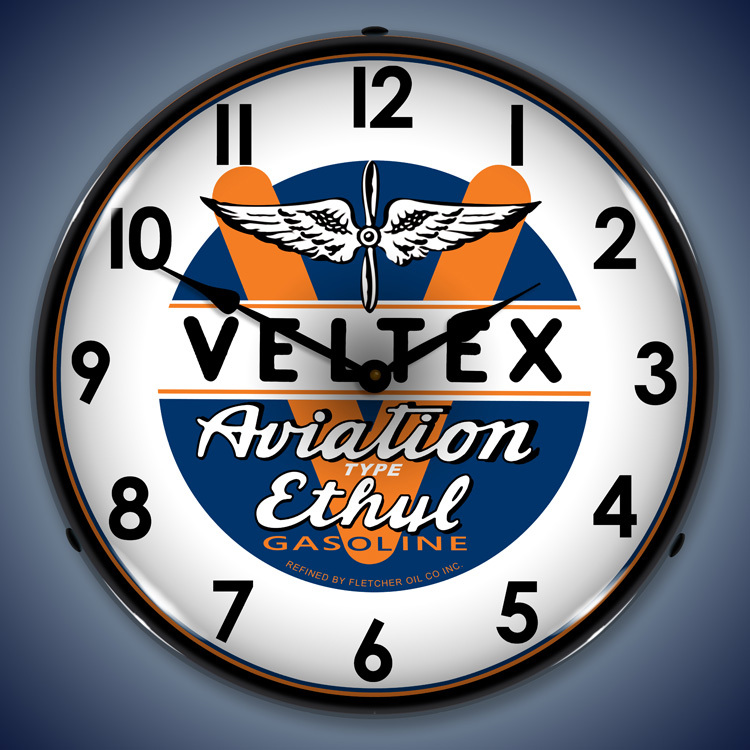 ), jazz up your living quarters with a different style clock altogether, like our airplane theme clocks that feature the logos of famous aircraft parts & gas supplies, like KanOtex Aviation and Sinclair Aircraft. 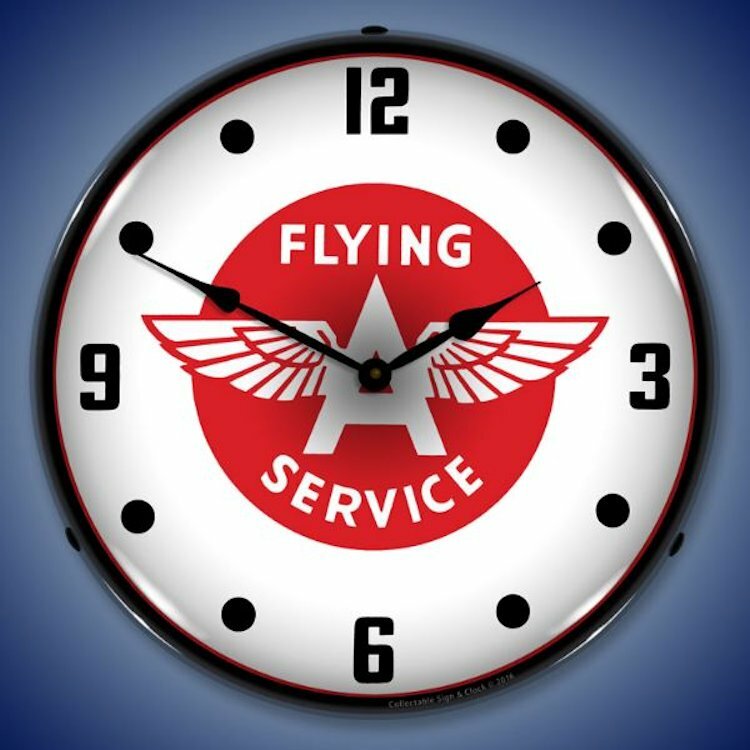 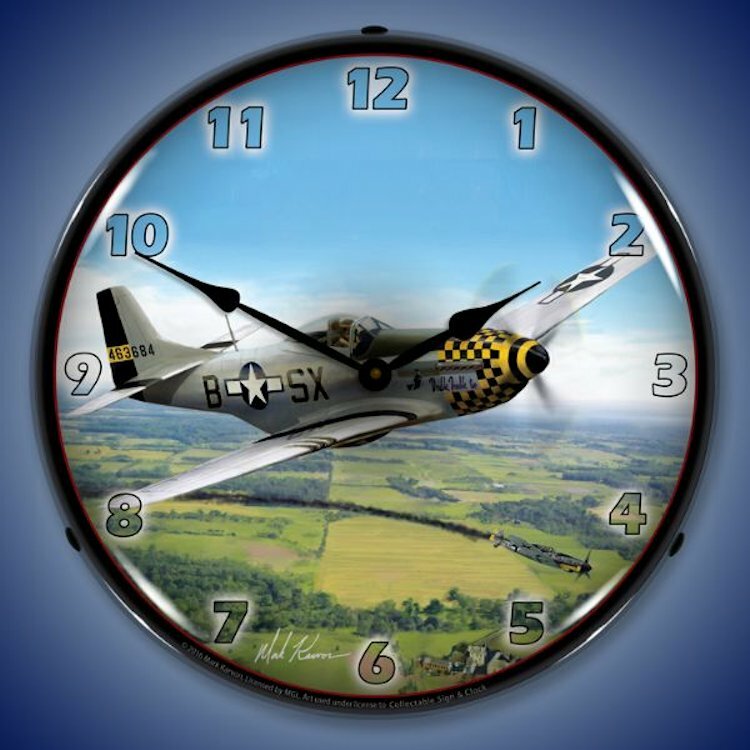 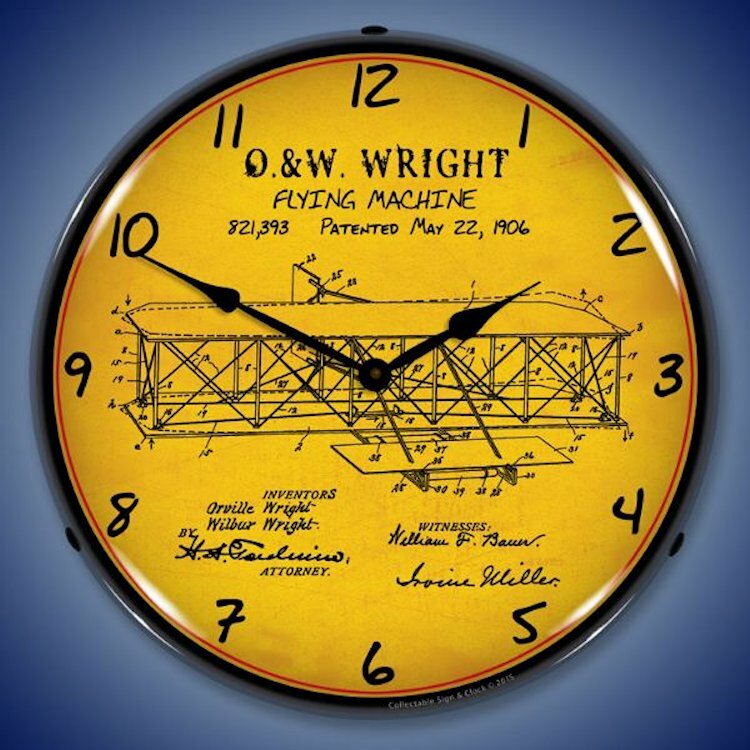 All of these clocks imbue nostalgia in the early years of aviation and are the perfect way to show your love for the art of flying.